KABUL -- Taliban and "Islamic State of Iraq and Syria" (ISIS) militants are locked in combat throughout Afghanistan, vying for the ability to extort and plunder the civilian population, officials say. In one April battle in Jawzjan Province, 87 members of the two groups died, said Mohammad Reza Ghafoori, spokesman for the Jawzjan governor. "The clash [...] resulted in the death of 72 Taliban militants, including two of their key commanders, and left 57 other injured, while 15 ISIS members were also killed and 12 others were wounded," he told Salaam Times. "Moreover, ISIS captured 10 Taliban members," he said, adding, "There is a high possibility that more intense conflicts will take place between these two terrorist groups." The two groups have been supporting their terrorist activities by seizing cash and other assets from civilians, Ghafoori said. 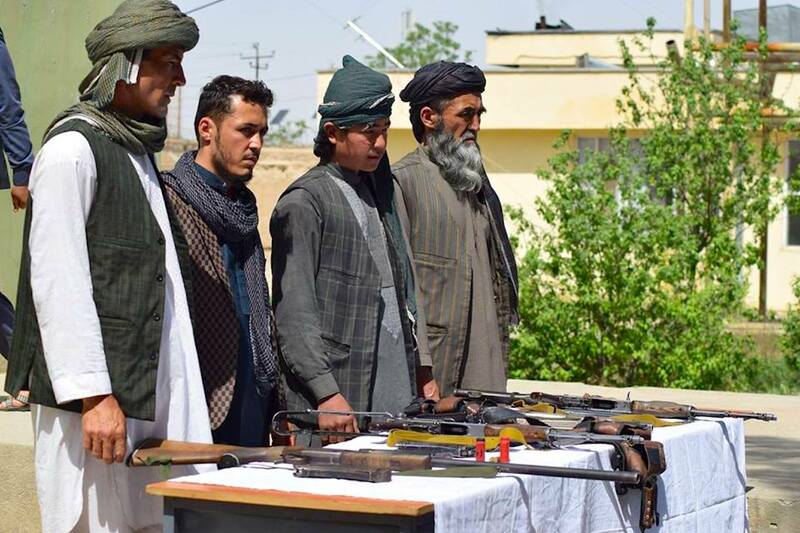 "About 100 ISIS members and 200 to 300 Taliban are present in Qush Tepa and Darzab districts," he said, adding that residents in those areas are suffering from robbery and worse at insurgents' hands. Two months ago, ISIS took three women hostage and then executed them, Ghafoori said, adding that the militants also set fire to 60 houses. ISIS reportedly had mistakenly thought the women were related to local police officers and killed them in retaliation, according to local sources. Residents also told Salaam Times of their continued suffering from both ISIS and Taliban militants. "Previously the Taliban seized food from residents of our area, three times a day," said Sharifullah, a former resident of Qush Tepa who fled the area and now resides in Kabul. "Now both the Taliban and ISIS do this." "Each month, every family has to pay at least 500 AFN ($7.35) to both groups," he said, adding that wealthier families are forced to pay more. The two groups started fighting over the local spoils and after ISIS killed three Taliban commanders, Jawzjan police chief Rahmatullah Turkistani told Salaam Times. "After forcing residents of Qush Tepa and Darzab to give them money, a number of Taliban were returning from those areas [on April 19] when ISIS ambushed them," he said. "The fighting started then." "Another reason for the clash ... was the assassination of three key Taliban commanders by ISIS [April 15]," he added. "Those three were also drug traffickers." "Afghanistan National Security and Defence Forces in Jawzjan Province are prepared to crackdown on both ISIS and Taliban terror groups," he said, adding that Operation Khalid will start in the province "very soon". Currently troops are carrying out the operation in 13 provinces, targeting Taliban and ISIS elements. Without a decisive end to militant depredations in Jawzjan, violence in its contested districts could worsen, warned Abdul Satar Darzabi, a member of the Afghan parliament representing Darzab. "The Taliban used to forcefully collect tithe, alms and religious taxes from residents in areas under their control," he told Salaam Times. "But now, ISIS too has started collecting tithe and alms, which is not acceptable for the Taliban." Because of this competition to extort money from citizens, he said, "further bloody clashes between the groups are very possible." "In a month or two, the harvest will start," said Darzabi. "That's why each group is trying to defeat the other, so that it can collect donations and tax from crops unchallenged." "Civilians have suffered the most from the actions conducted by ISIS and Taliban militants," he said. 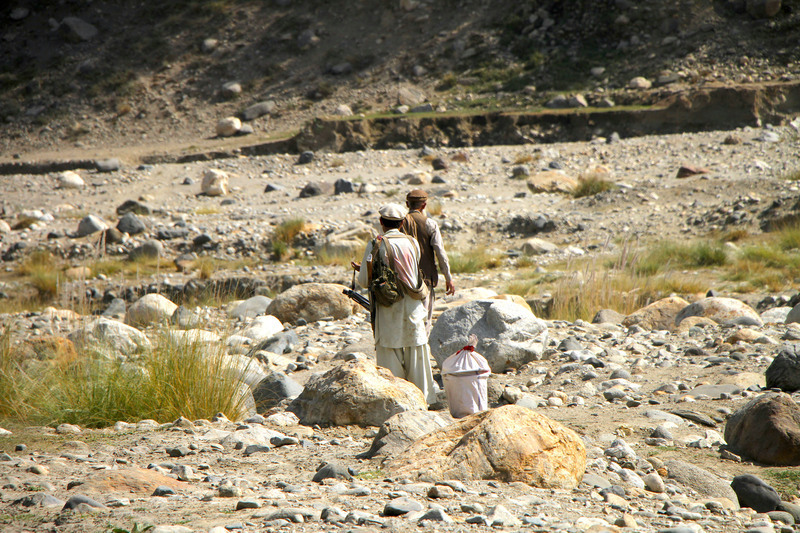 "Our people live in constant fear of ISIS and the Taliban," Darzab District resident Sayyed Jamil told Salaam Times. "I hope they keep fighting among themselves, so that they all kill each other." "I urge the government to launch an operation in Darzab as soon as possible," he said.